Noah Gipson Wins Conference Championships! Membership expires after 2 Months. Expiration Membership expires after 2 Months. Membership expires after 3 Months. Membership expires after 12 Months. – Hydration and nutrition guides. 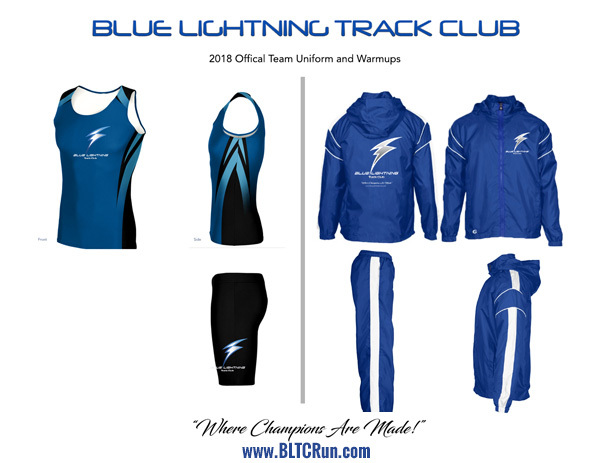 – Membership to BLTC website and supplemental training resources. Note: Competition uniform and warmups are additional. 2019 Summer Seasons (May thru Jul) Practice Begins April 22. You have selected the Full 2019-2020 All-Seasons Membership, which lasts 1-year (saves $255) and includes 2018-2019 Fall Off-Season Conditioning, Winter, Spring-Summer seasons, and the National Junior Olympic series. 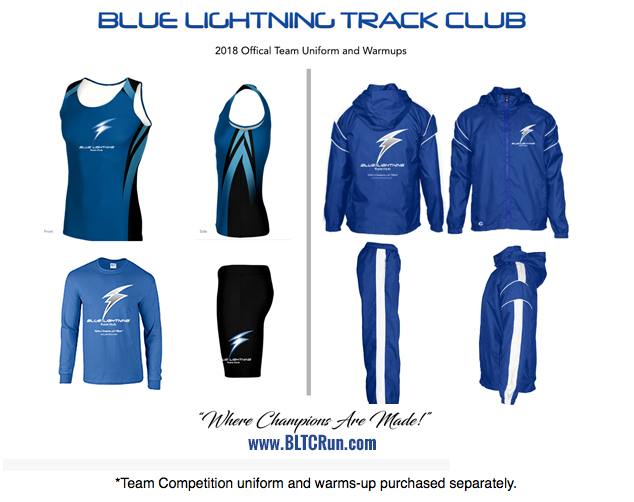 **Note: Team warm-ups, meet competition fees, and travel are not included in the cost of the membership. ©2018 Blue Lightning Track Club All Rights Reserved.